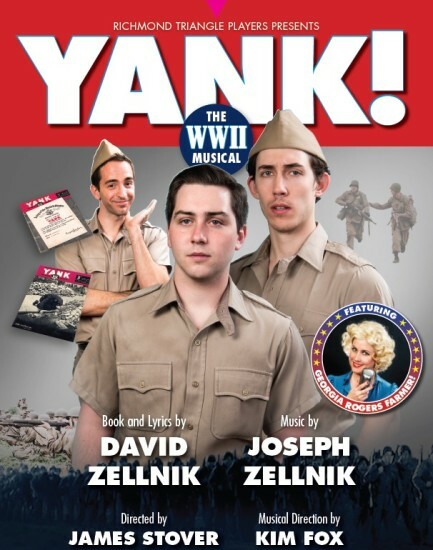 Jonathan and I saw an excellent production of the play, Yank!, at Richmond Triangle Players. It’s one of those bittersweet love stories about two people–in this case two men, Stu and Mitch, in Uncle Sam’s World War II Army–who fall in love against many odds, and then almost make it to happy-ever-after bliss. But they don’t quite make it–and I don’t want to give away the entire story, so all I will say is that one is braver, and clearer, than the other. 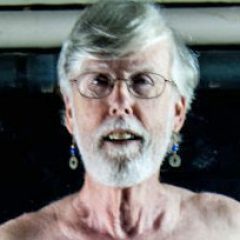 Of course, we are talking about an era in which, despite the need for soldiers to fight Nazism and its ally in the East, Japan, the U.S. military regularly gave dishonorable discharges to service members who were identified as homosexual. So the struggle of Stu and Mitch to survive in love takes place against the backdrop of powerful institutional homophobia. [Note: this is a work of dramatic fiction, but it is based on painstaking research and reviewing diaries and published stories of many gay and lesbian service members from World War II). This leads me to something else significant this week, namely comments by U.S. 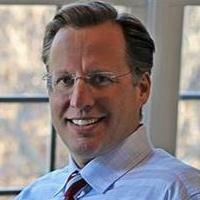 Congressman Dave Brat from the 7th District of Virginia. The freshman representative has been clear in his opposition to “path to citizenship” for any undocumented immigrants, including it seems any idea of treating the children of these immigrants with dignity and acceptance of the reality that for many this is the only country they have ever known. I wanted to stand up and shout, I mean, ISIS is willing to serve in our military as well. . . . Part of the reason Rome fell is because they started hiring barbarians, otherwise known as Germans at the time, to be troops in their own army. What’s going on is the decline of western civilization at the highest level. Once again, people are being told they are not worthy of serving our nation, and this time, as earlier in the case of homosexuals, immigrants–even those who want to defend our country–are seen as dangers to our national security. That might work in a high school debating class, but Brat ignores the bitter taste the comment leaves in the hearts and minds of the immigrants. Linking ISIS and “barbarians” to immigrants who came here seeking better lives–not to destroy the country but to share in its bounty, and to build it–and their children who have only really ever lived in one country, namely the United States–feels like an expression of contempt. That is what Stu and Mitch had to battle in earlier days in our military, and what many others fought against in the witch hunts days of the McCarthy era. Contempt for being human beings with sexual and affectional feelings that others judged . . . well . . . contemptible. It’s what slaves and freed Africans had to endure when they wanted to join Union Army units to fight the Confederacy. 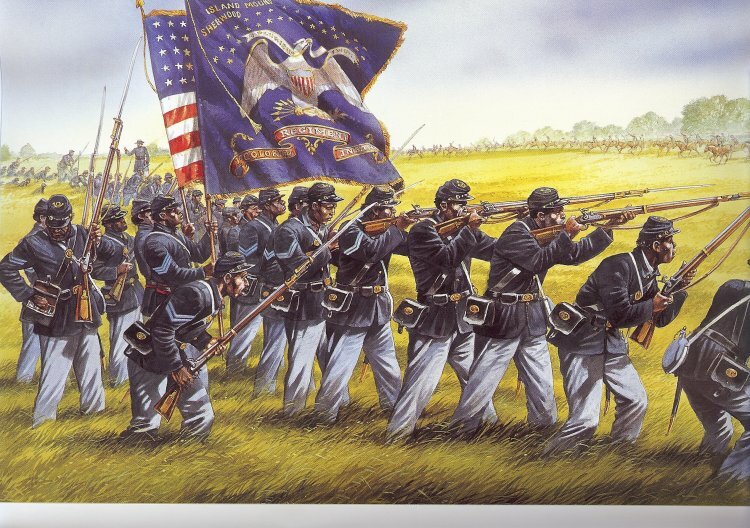 Few believed they could fight, but of course they were smart and brave, just like white counterparts (and eventually, they were allowed to fight, thanks to Union generals Benjamin Butler and Ulysses S. Grant, even though in segregated units). It’s what Native Americans faced in Virginia when they wanted to enlist to fight Nazis in World War II. Thanks to the Racial Purity Act of 1924, “Indians” (as they were known then) could enlist but not as “Indians”–because according to this heinous law, there were only two races in Virginia, white and black. Many of them, wanting to defend their country, went to other states to enlist, so they could be patriotic and also true to themselves. Mr. Brat should know this history, but I doubt he does. Or if he does, he chooses to forget it. Perhaps he is more concerned with Rome. Oh yes, if you want to know about one of these “dangers to national security,” check out this excellent column by Bart Hinkle in the Richmond Times Dispatch, “Brat Jumps the Shark on Immigration,” http://www.richmond.com/opinion/our-opinion/article_379737a9-2a5b-5d81-b40d-5ce0df06ab19.html. He will show you how scary one of these dangers, a man by the name of Cesar Vargas, really is. Then, you’ll be really grateful to Mr. Brat for sounding the alarm.